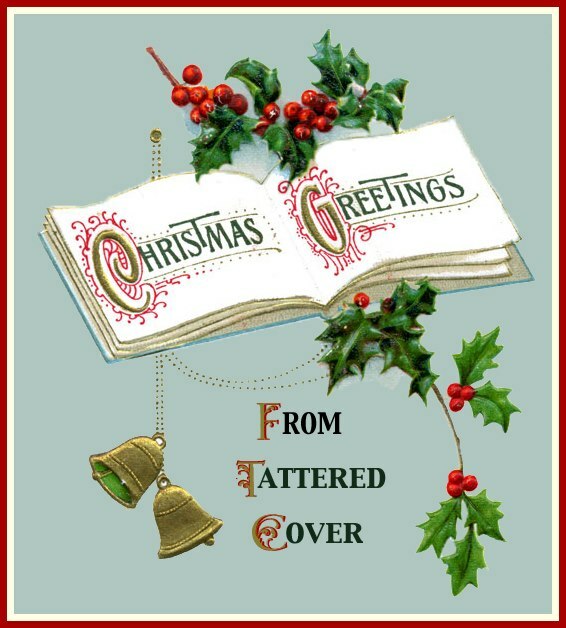 Happy New Year To All Readers!!! Writers Respond to Readers is an annual all-day author event designed for book clubs and other readers interested in literary discussion. Our authors address a variety of topics that will inform, intrigue and ignite the imagination of booklovers. Reservations: New this year: Reservations will be accepted on-line beginning Monday, January 7, 2013. Visit our homepage on January 7 for a link to purchase your WRTR tickets with a credit card. Please send an e-mail or call 303-322-1965 ext.2735 with questions. 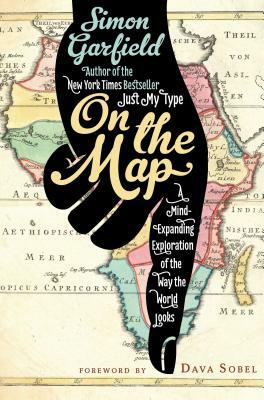 Cartography enthusiasts rejoice: the bestselling author of the Just My Type reveals the fascinating relationship between man and map. Imagine a world without maps. How would we travel? Could we own land? What would men and women argue about in cars? Scientists have even suggested that mapping—not language—is what elevated our prehistoric ancestors from ape-dom. Follow the history of maps from the early explorers’ maps and the awe-inspiring medieval Mappa Mundi to Google Maps and the satellite renderings on our smartphones, Garfield explores the unique way that maps relate and realign our history—and reflect the best and worst of what makes us human. Featuring a foreword by Dava Sobel and packed with fascinating tales of cartographic intrigue, outsize personalities, and amusing “pocket maps” on an array of subjects from how to fold a map to the strangest maps on the Internet, On the Map is a rich historical tapestry infused with Garfield’s signature narrative flair. Map-obsessives and everyone who loved Just My Type will be lining up to join Garfield on his audacious journey through time and around the globe. 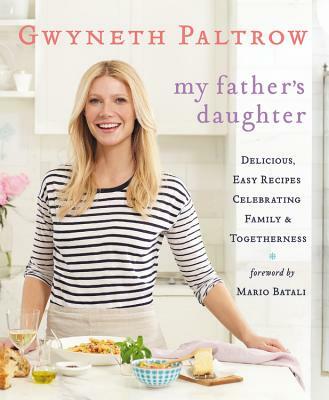 Click on the book cover to learn more about each book. The next book in the series, Scarlett, is coming in Feb 2013! 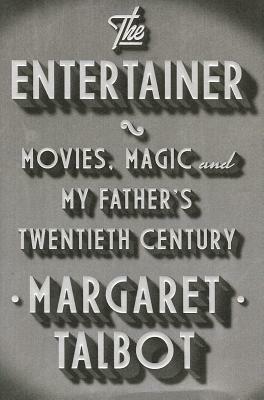 Using the life and career of her father, an early Hollywood actor, New Yorker writer Margaret Talbot tells the thrilling story of the rise of popular culture through a transfixing personal lens. 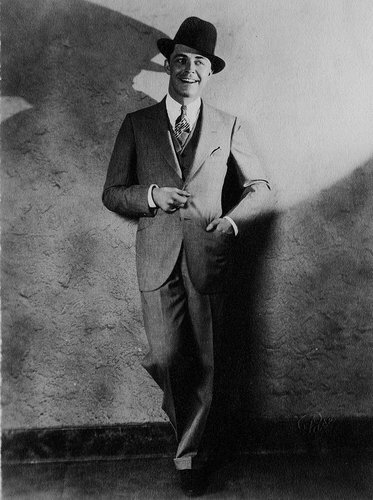 The arc of Lyle Talbot’s career is in fact the story of American entertainment. Born in 1902, Lyle left his home in small-town Nebraska in 1918 to join a traveling carnival. From there he became a magician’s assistant, an actor in a traveling theater troupe, a romantic lead in early talkies, then an actor in major Warner Bros. pictures with stars such as Humphrey Bogart and Carole Lombard, then an actor in cult B movies, and finally a part of the advent of television, with regular roles on The Adventures of Ozzie and Harriet and Leave It to Beaver. 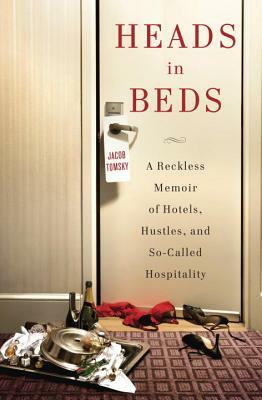 Ultimately, his career spanned the entire trajectory of the industry. In her captivating, impeccably researched narrative—a charmed combination of Hollywood history, social history, and family memoir—Margaret Talbot conjures warmth and nostalgia for those earlier eras of ’10s and ’20s small-town America, ’30s and ’40s Hollywood. She transports us to an alluring time, simpler but also exciting, and illustrates the changing face of her father’s America, all while telling the story of mass entertainment across the first half of the twentieth century. TC Tidbit: The Trailer for "Warm Bodies"
After experiencing a teenage boy's memories while consuming his brain, R makes an unexpected choice that begins a tense, awkward, and strangely sweet relationship with the victim's human girlfriend. 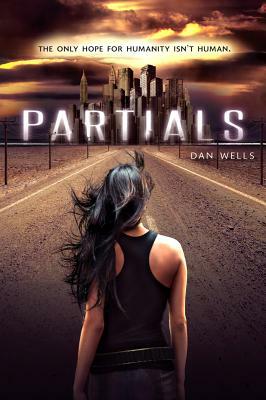 Julie is a blast of color in the otherwise dreary and gray landscape that surrounds R. His decision to protect her will transform not only R, but his fellow Dead, and perhaps their whole lifeless world. A Not So Short Story: Sherman Alexie and His Ultra Pale Face F, by Edward Booker..
Back in my day, I didn't have to walk in the snow, but the Internet did function on dial up and AOL chat rooms ruled the day (yes...I frequented a room called the Book Shelf which the author Thom Jones also appeared in from time to time). I lived in Little Rock and a bookstore's website was having an online "chat" with an author I had recently started reading and loved, Sherman Alexie. As people submitted questions, one person typed a question which was basically trying to show how smart he was. Whether it is an in person book signing or in this case, online, the author is smart, everyone attending is smart, but ultimately, attendees are there for one reason, to listen to the author, not to a random know-it-all in the crowd. However, in this case, the questioner typed a word which caused me to ask my wife, "Is that even a word?" She read it and agreed that even though it was a ten dollar word, it was not the right word. While we thought this to ourselves and would never say something, Sherman Alexie in essence typed, I'm not sure what word you think you are looking for and proceeded to give a hysterical response. My wife and I LOLed before LOL was en vogue. It was a great experience. To give you an idea, during high school I became fascinated by bookstores. I read about Prairie Lights and That Bookstore in Blytheville, Powell's and Tattered Cover. 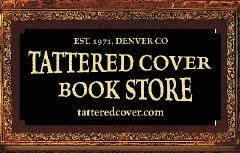 After relocating to Denver, I was fortunate enough to start working for Tattered Cover which is known for hosting author signings. 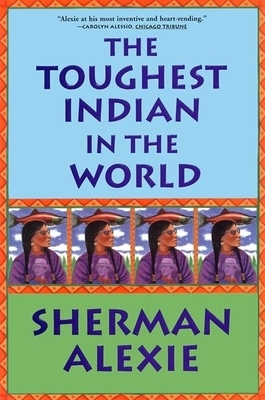 In 2000, Sherman Alexie came to the iconic store located, at that time, in the Cherry Creek shopping district. For a number of years when tourists were surveyed, the second most popular destination spot in Colorado outside of the mountains was the Cherry Creek shopping district. 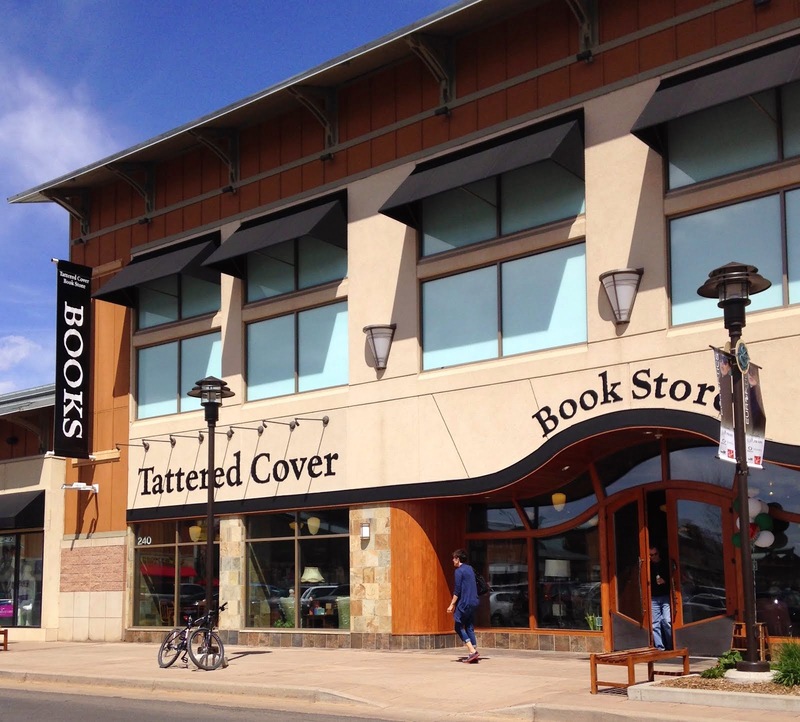 While the Lower Downtown store (LoDo) has a committed event space, one of the unique features about a signing at Cherry Creek was it took place in the public area while the bookstore was open to the regular shoppers. This added to the experience of listening to an author while customers and booksellers wandered in and around the stacks, a living, breathing organism while the event itself, is frozen as a moment in time. The signing was for The Toughest Indian in the World and from the time he was introduced, he was making fun of anyone, anything, and anybody. At the time, there was a popular book about Native Americans that had been written by a white guy and he refused to continue to speak until one of the customers stood up and turned all the book covers backwards where he couldn't see it. At one point, he made some off color joke and a woman stood up and left (it necessarily made a scene because it was standing room only). He stopped momentarily to ask her friends if she was OK because all of his remarks were in jest. They assured him that she was always a drama queen. He continued to make us laugh as much as any standup comedian. I laughed until my sides hurt. A number of years later, I had been sent to the American Library Association conference in Chicago to speak about Playaways (parent company is Findaway as in all the employees are encouraged to think of ideas and then literally, find a way to make them a reality.) Sherman Alexie was there for his new book, War Dances. I was able to hear him speak again and heard him relate a lovely story about his mother reading The Absolutely True Diary of a Part Time Indian. 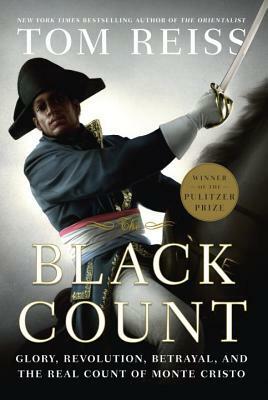 I knew that there would be a limited number of ARCs (Advance Reader Copies which are books released ahead of the actual release dates to newspapers, reviewers, booksellers), but I wanted to hear Jill McCorkle who was reading after him. I knew I could stand in line to get my book signed by her (she, too, was delightful) and rush over to get in relate my other brief brushes with his Indian greatness and get my ALA program signed. And? My point? 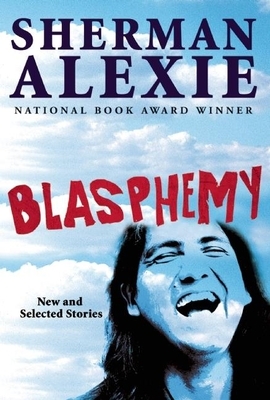 Alexie now has a new collection with old and new stories called Blasphemy. When I think of short story authors that have enough to compile collections, I think of Alice Munro and Raymond Carver and Donald Barthelme. 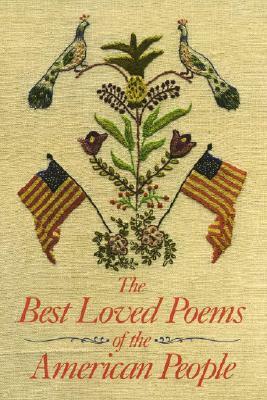 Alexie's consistent contributions to the short form are highlighted by this collection. 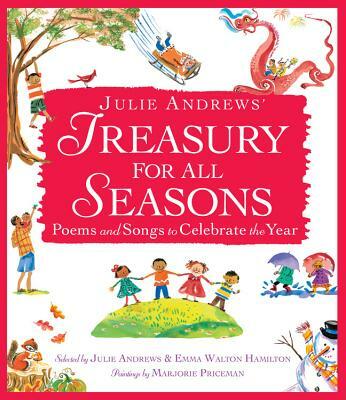 While I was annoyed at first that the new ones aren't separated from the ones published in previous collections, in reading the collection, I find I enjoyed rereading the stories, as though visited by an old friend or hearing him relate the same stories, which is a part of his own voice and storytelling tradition. You'll find stories that will break your heart and give hope. There are stories of families and friendships that are disenfranchised or reconciled. There is a skepticism toward the myths and traditions that make up the Indian culture, but a love for the very people who are often causing the stress or tension because those old ways are such an integral part of their being. 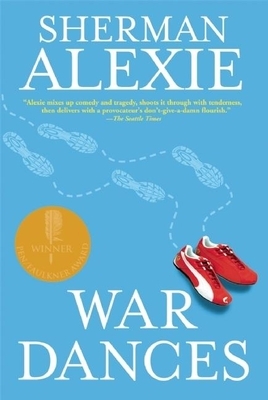 If you ever have a chance to hear Alexie in person or do an online "chat", do it. You will not remember laughing so hard in your life. But if that isn't an option, I hope that you will pick up Alexie's collection and experience him through his wonderful words. Andrew Tobias’s 1983 article “Letters from Chairman Buffett,” the first review of his Berk­shire Hathaway shareholder letters. Bill Gates’s 1996 article describing his early impressions of Buffett as they struck up their close friendship. 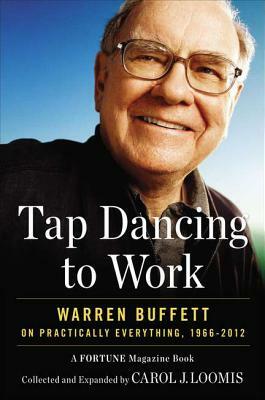 Scores of Buffett books have been written, but none can claim this work’s combination of trust between two friends, the writer’s deep under­standing of Buffett’s world, and a very long-term perspective. 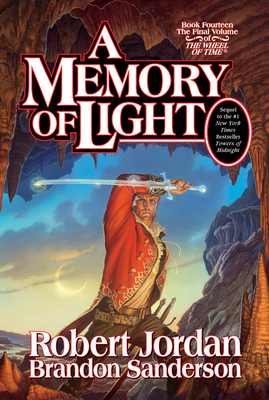 You can read the HuffPost article HERE (it includes a link to a reading of The Winds of Winter, Book 6 in the Ice and Fire Series). 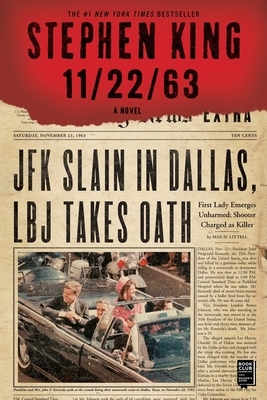 You can learn more about his favorite 2012 reads by clicking on their covers below. 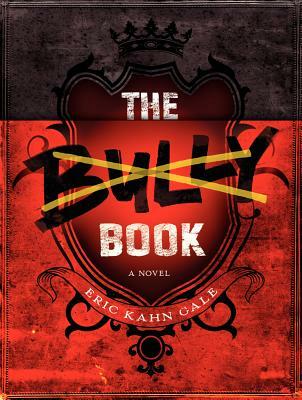 What is The Bully Book? Part mystery, part tragedy, part comedy. When the author was eleven, he was bullied. 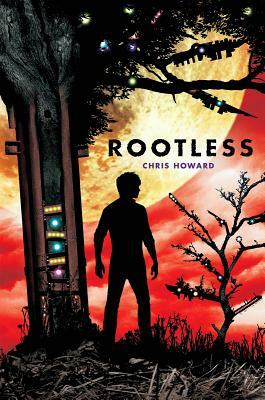 This book is loosely based on incidents that happened to him in sixth grade. Eric Haskins, the new sixth-grade bully target, is searching for answers. 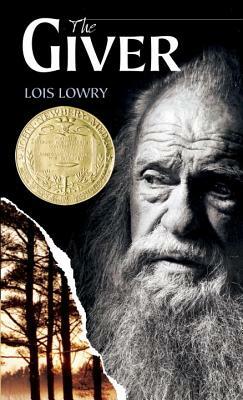 And unlike many of us who experienced something awful growing up, he finds them. Though they may not be what he expected. Originally self-published as an ebook by a member of Team Starkid, The Bully Book is now available in print and ebook editions. 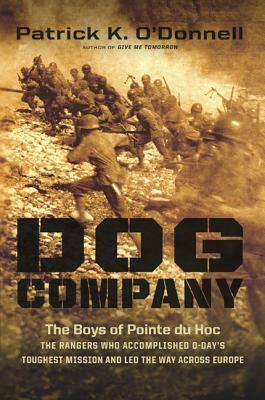 "This book pretty much blew me away. 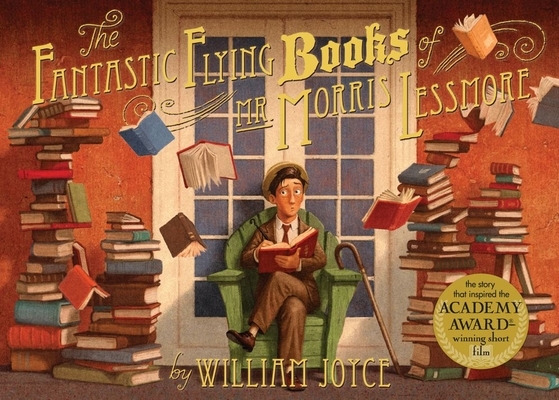 It's disturbing to read, since half of the book (in alternating "chapters) is a book about being the star of sixth grade by mercilessly tormenting one classmate to gain status among the rest of the class. The other half is a journal of what it's like to be that scapegoat, which they call 'The Grunt'. Except this year's Grunt, Eric Haskins, isn't giving up to the bullies--he's trying to find more about them to stop them. He discovers that a Bully Book exists, and has been handed down for years. And he needs that book to find out why he was chosen to be the Grunt (until now he'd been popular and had had a very easy time in school). 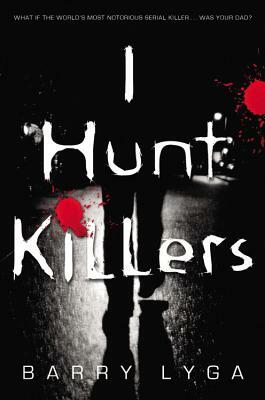 His detective work is brave and inspiring, and what he learns shocking. This book is moving and what I think should be a must read for the 10-12 group, and their parents and teachers. So many amazing discussions can come from the ideas in this book. 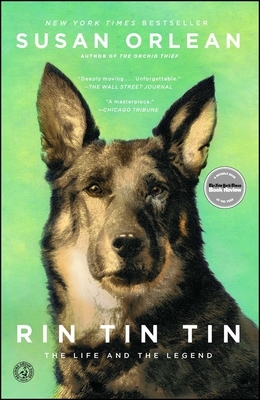 I was bullied when I was a bit older than Eric, and I wish I could go back and give this book to that version of myself--it might have changed my life. 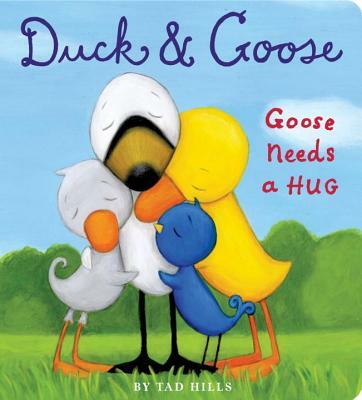 But since I can't do that, I'm going to do my best to put this book in as many hands as possible. Yes, I think it is THAT important." The fan-favorite chapter-book series sends Jack and Annie back to India over 400 years ago to search for a rare and precious emerald. 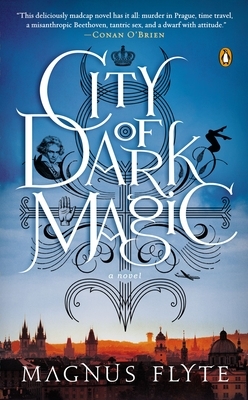 Once there, they discover an amazing and exotic world filled with great danger. Will they find what they're looking for? 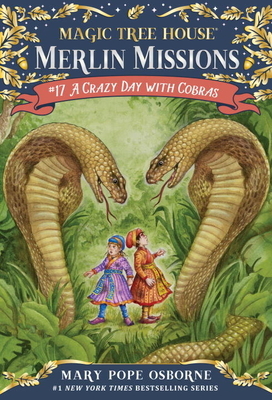 Will they avoid the wrath of the all-powerful Great Mogul, survive a crazy ride on a wild elephant, escape an attack by king cobras—and make it back to the magic tree house alive? 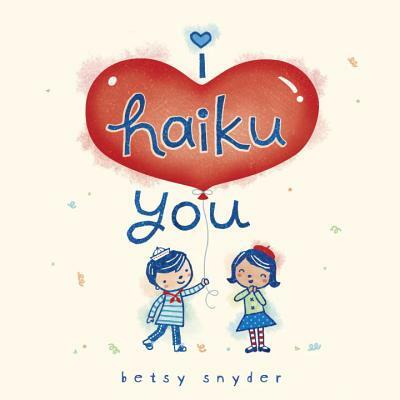 This giftable little picture book of haiku by award winner Betsy Snyder is something adults will love to give one another as much as they'll enjoy sharing it with the youngest listeners. 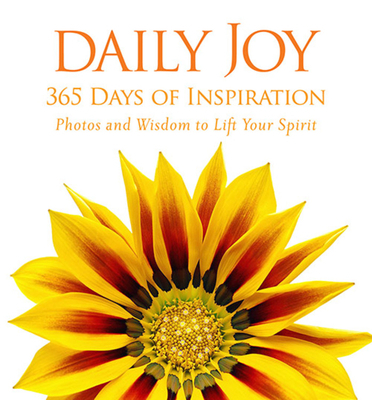 Perfect for Valentine's Day and any day of the year, this book will inspire people to tell one another, "I haiku you!" 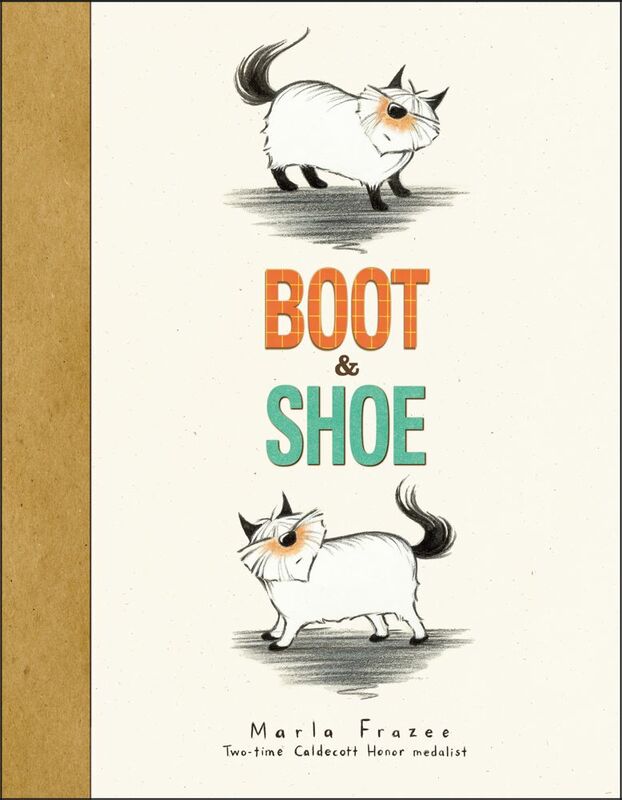 From the folks at Publishers Weekly. Click HERE to see more. We Wish You All A Lovely Holiday!!!! and all the TCers are running about, wrapping up books and helping folks with last minute gift doubts. So we've got Bing to tell you a story while up and down stairs and aisles we scurry. We wish you a warm and magical time with your holiday!!! Most home medicine cabinets hold a variety of salves, balms, liniments, oils, and other topical treatments for everyday skin conditions and body ailments. Many of these are expensive and contain ingredients that are unrecognizable and unpronounceable. Often they are chock-full of synthetics, useless fillers, preservatives, artificial colors and fragrances, and other potential irritants. 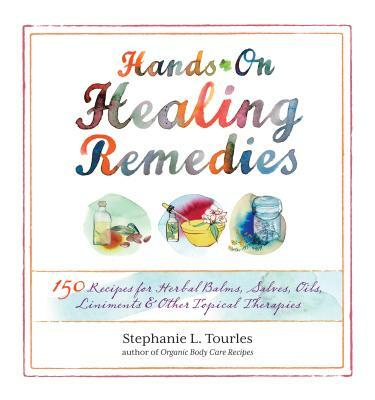 In Hand's-On Healing Remedies, Licensed Holistic Esthetician and Herbalist, Stephanie Tourles, offers natural herbal alternatives that are effective, easy, safe, and fun to prepare. With 150 original recipes, this is the essential resource for making your own topical herbal treatments at home. Listed by ailment, in an easy A-to-Z format, the remedies address everything from backaches to headaches, arthritis to fatigue, athlete's foot to cracked skin. Recipes include "Sweet Annie Serenity Body Oil" for soothing anxiety, "Aloe Disinfecting Wound Wash" for healing minor cuts and scrapes," Dream Weaver's Relaxing Rub" for easing insomnia, "Black Walnut Clay Pack" for drawing out splinters, and many more. As the only book offering this in-depth focus on herbal topical applications, Hand's-On Healing Remedies is sure to appeal to natural health enthusiasts, crafters, homesteaders, families, massage therapists, estheticians, many practitioners of complimentary medicine, and anyone seeking a more holistic approach to common first-aid and therapeutic needs. 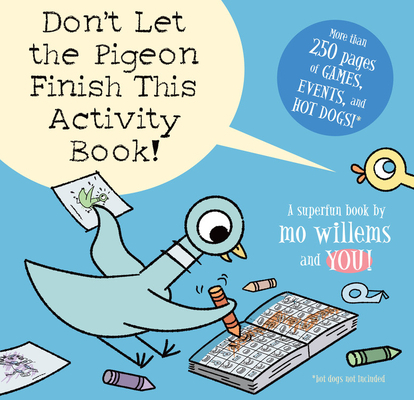 Follow the Bus Driver's lead as you write, color, draw, create--even build an airport!--in this fun-filled book starring the Pigeon and YOU! seen Photicular technology, and the result is breathtaking. Safari is a magical journey. Readers, as if on safari, encounter eight wild animals that come alive. 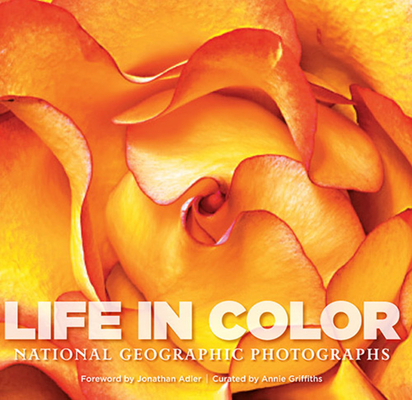 Using an innovative lenticular-based technology, precision sliding lenses, and original four-color video imagery, each image is like a 3-D movie on the page, delivering a rich, fluid, immersive visual experience. The cheetah bounds. The gazelle leaps. The African elephant snaps its ears. The gorilla munches the leaves off a branch. 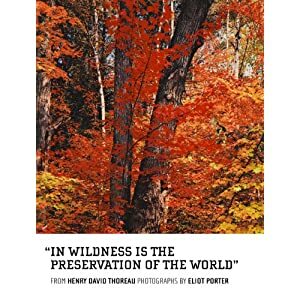 It's mesmerizing, as visually immediate as a National Geographic or Animal Planet special. Accompanying the images is Safari, the guide: It begins with an evocative journal of a safari along the Mara River in Kenya and interweaves the history of safaris. 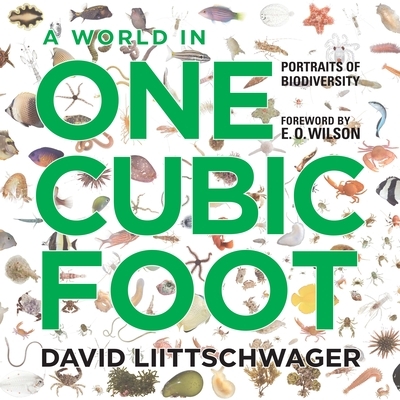 Then for each animal there is a lively, informative essay and an at-a-glance list of important facts. 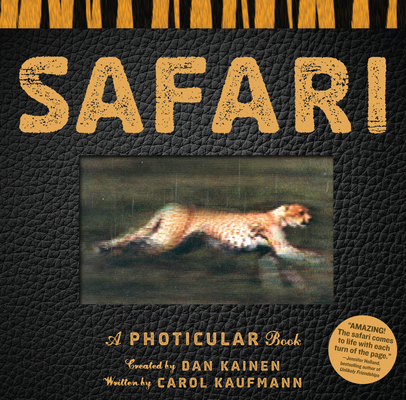 It's the romance of being on safari--and the almost visceral thrill of seeing the animals in motion-- in a book unlike any other. Discover all there is to know about one of the world's most beloved toy companies. Beautiful pages reveal, explore, and celebrate the fascinating story of LEGO® bricks and the history behind them in this newly updated edition of The LEGO® Book. 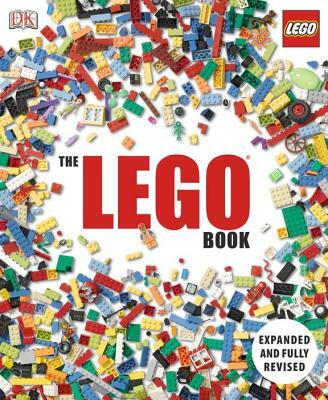 Along with 56 new pages, a timeline highlights key moments in LEGO history, and special features spotlight numerous groundbreaking and momentous achievements. 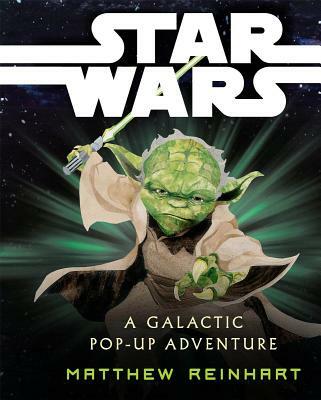 Includes new and updated information about LEGO Star Wars, LEGO Ninjago, LEGO Friends, and much more. Explore all the main LEGO toy systems, the LEGOLAND® theme parks with their amazing animated models, and the LEGO Group's spectacular diversification into films, video games, and the visual arts. 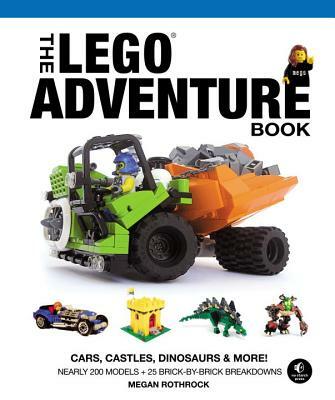 Incorporating clear instruction panels on how to create great models from just a few simple bricks, The LEGO® Book is truly a treasure perfect for any LEGO fan! Need A Stocking Stuffer For A Classics Lover? 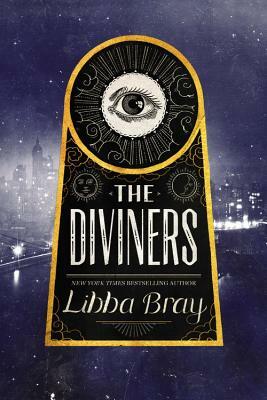 TC Tidbit: How Much To Novelists Make? 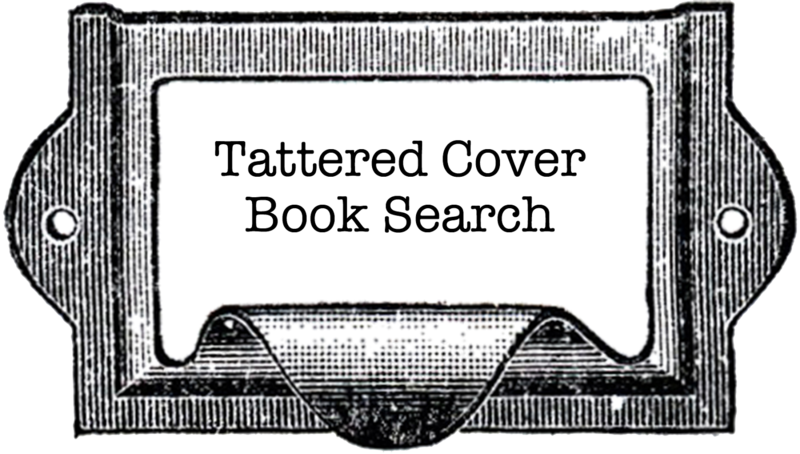 Our Very First Tattered Cover Customer Review!!! Don't Miss This Rocking Event Tomorrow!!! "I am not a hero. I’m just a soldier." 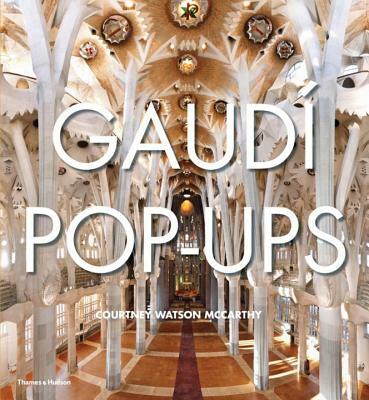 Tonight At Our Historic Lodo Store!!! 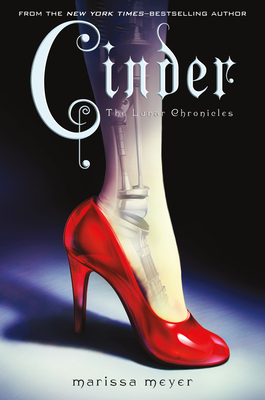 TC Tidbit: SimonTEEN's 31 Days of Giveaway!